"FH Visits TCM Film Fest"
"Fox 11 – Midday Sunday"
"MCA-I – Brand Your Career"
“`Marty Sklar was a right-hand person of Walt Disney, and central figure in the development and expansion of company theme parks around the world. His footprint includes the original Disneyland in Southern California in 1955, to the Shanghai Disney Resort, last year, and was revered by employees as a living link to the founder. “`Sklar was still a college student at UCLA when he was hired to create The Disneyland News for the original park, and became a full-time Disney employee the following year. For the next 54 years, he led the development and expansion of the company’s parks, and was among the first to have a Disney title of Imagineer when he became the company’s chief creative leader for theme parks. “`Sklar scripted speeches for Walt, along with design and marketing materials for the parks, and a film showing Disney’s vision for Walt Disney World and Epcot in Florida before they were built. He was a low-key and unimposing figure who condensed Walt Disney’s ideas into widely circulated creed called Mickey’s Ten Commandments. He had a hand in the design of memorable Magic Kingdom attractions such as The Enchanted Tiki Room, It’s a Small World, and Space Mountain. When the company re-imagined Disneyland’s Tomorrowland in 1998, he explained the company’s constant intent to forge forward. 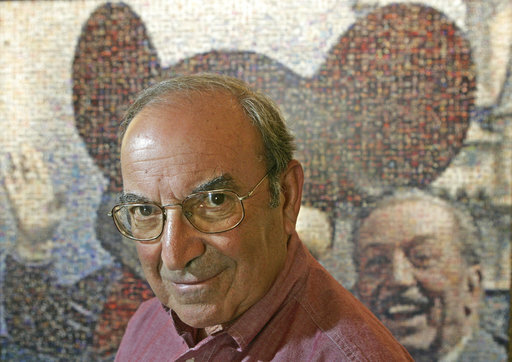 “`Sklar retired in 2009, but was still a frequent presence and ambassador at Disney events, including the company’s D23 Expo earlier this month. “`Marty Sklar (above) was 83. This entry was posted on Saturday, July 29th, 2017 at 12:01 am	and is filed under Blog by Manny Pacheco. You can follow any comments to this post through the RSS 2.0 feed. Responses are currently closed, but you can trackback from your own site.